While I love coffee, I’ve never really been big on energy products. I drink them occasionally on those long days when you need an extra boost or when I’m on a road trip, but if I’m going to drink caffeine I normally prefer it come in the form of a cold brew iced coffee. That is, until I discovered 5-hour ENERGY® Protein. 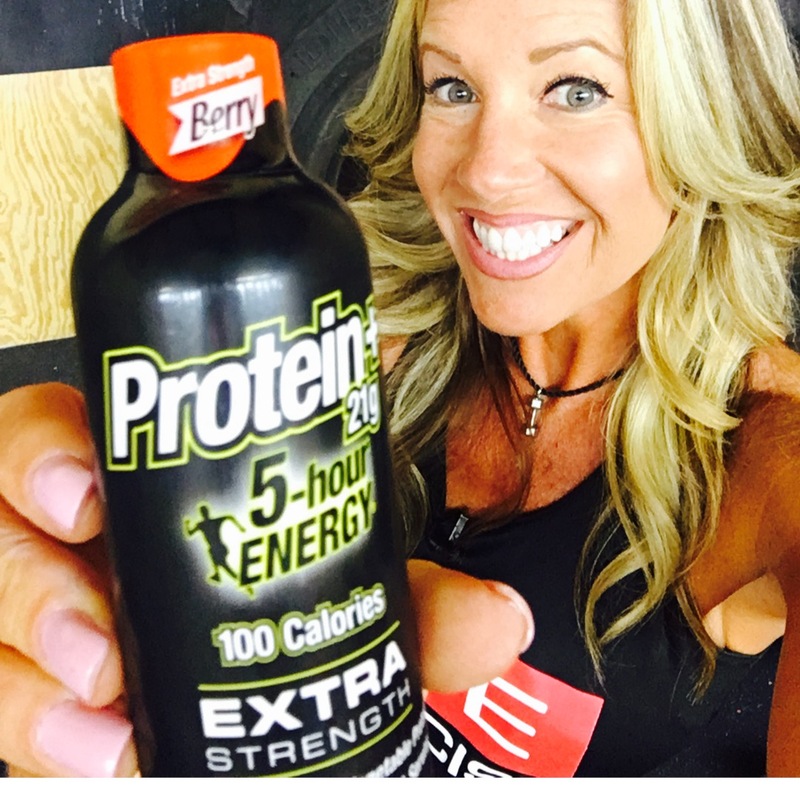 I gave 5-hour ENERGY® Protein from Walmart a try and here’s what I discovered. Most protein drinks come in huge cans. Since I don’t like the taste, drinking a whole can of yuck is no fun. I have NEVER EVER finished the whole thing until I tried 5-hour ENERGY® Protein. Since it takes so long for me to get most drinks down, it always gets warm so I waste the rest. However, 5-hour ENERGY® Protein is small, coming in a 6 ounce bottle. This means I can slam it in 5-6 gulps if I wanted to or I can sip it slowly and it will still be cold until the last drop since I like mine chilled. OK, so maybe that isn’t a word, but it’s the truth. Protein shakes are notorious for bloating you, and so are carbonated energy drinks. Less fluid and air (from drinking blended shakes or carbonated drinks) means less bloat. It comes in 2 strengths. You get to choose how much energy you get. You can drink half the bottle for moderate energy or the whole bottle for maximum energy. Steve likes the 5-hour ENERGY® Protein Extra Strength and I like the 5-hour ENERGY® Protein Regular. Not only does it give you energy, but it gives you 21 WHOPPING GRAMS OF PROTEIN!! This means you are getting a 2 for 1 deal – protein AND an energized feeling in just a few sips. Not only is this 2 for 1 deal convenient, it saves you money. You no longer need to buy 2 different supplements. You can finally get the caffeine you want to help you through your workout with the protein you need to help support muscular development. This may seem small to you, but I love that it comes with a twist-off cap. This is one of my pet peeves with other protein drinks. Once you open most protein drinks, there’s no throwing it in your gym bag or saving the rest for later. The twist off cap gives you options – you can get it now AND later! There is one thing I won’t sacrifice and that’s taste. If it’s work to get it down, I simply won’t drink it. I was totally surprised at how good 5-hour ENERGY® Protein tasted since it was so compact. It’s berry flavor was surprisingly smooth and it didn’t make me do my automatic sourpuss face. Trust me. Anyone who’s worked out with me has seen that face and it ain’t pretty! I know I already mentioned that it’s small and that it comes with a lid, but look at the above picture. Do you really see just how small this sucker is? Try packing several regular sized protein drinks in your suitcase or gym bag and lugging it around. 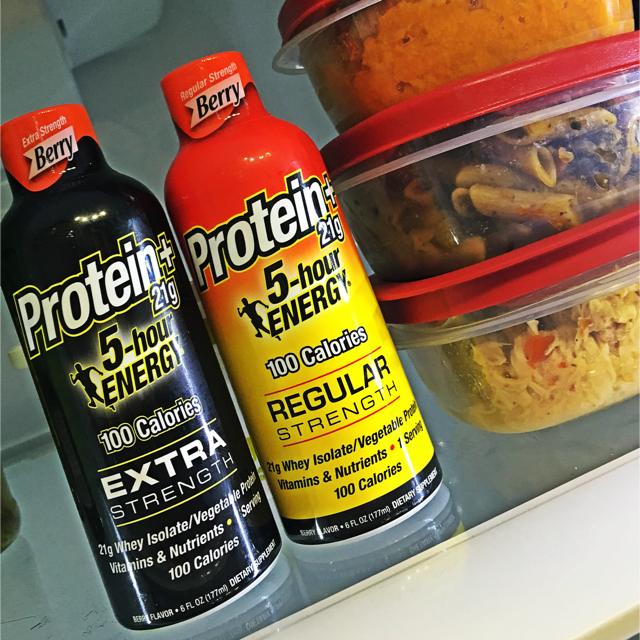 Since 5-hour ENERGY® Protein is small, it makes it the perfect choice for travel – from the gym bag to the car. Their incredible blend has been providing people with lasting energy for years – and it’s not just about that. 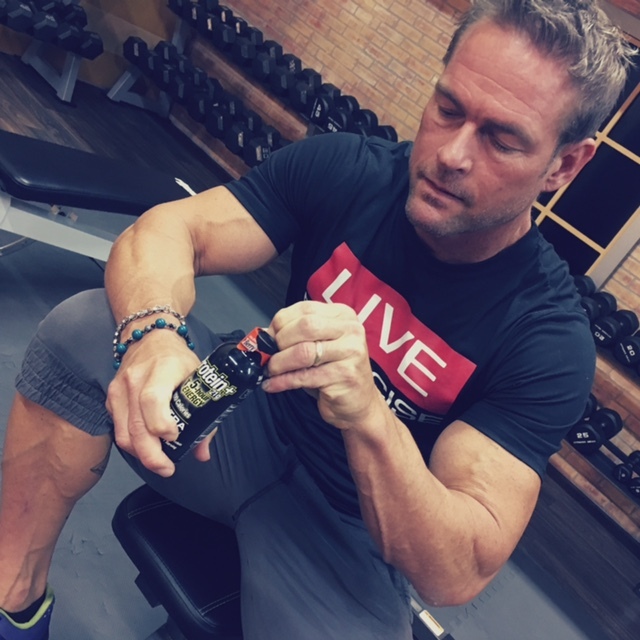 While the regular strength option has about as much caffeine as a regular cup of premium coffee and the extra strength is like having a big 12 ounce cup of joe, it has more energy-boosting ingredients that maximize its effect like B-vitamins and amino acids. Top that with the 21 grams protein from Whey Isolate and vegetable protein. What do I mean? Well, when you are dieting like I am, there are many things that I can’t even have because they are too high in calories (especially this close to a competition). 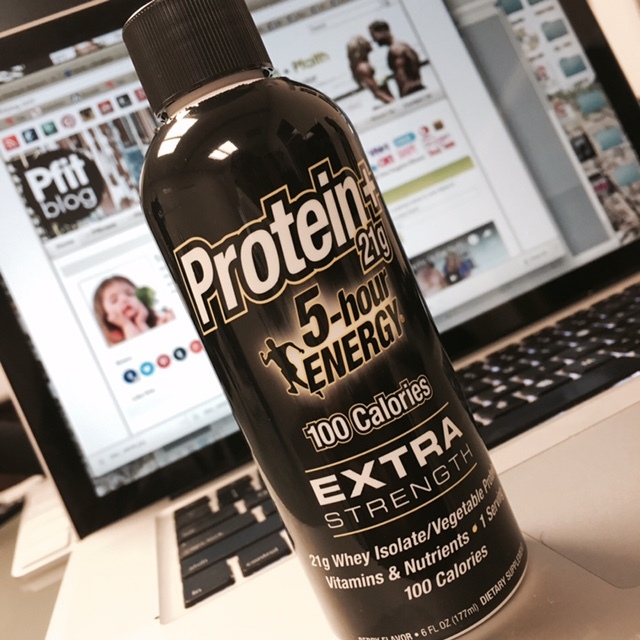 5-hour ENERGY® Protein is 100 calories!! this means it is DEFINITELY doable for me – even when I’m dieting!! This actually ends up being MORE protein for LESS calories than my normal protein shake – PLUS I get an energy boost too! This is a sponsored conversation written by me on behalf of 5-hour Energy. The opinions and text are all mine. Being an athlete or post workout it’s important for us to intake appropriate amount of proteins and all nutritions. This seems good, I’ll surely try this.